* Full Board includes 3 feeds per day and all services. * Part Board includes all services including feeding your feed. * Paddock agistment, seperated for feeding. Spring Creek Park has different agistment options to meet the style that will suit you and your horse best. We offer full care for all horses; this is to assist to you as a rider have more time to spend with your horse. All horses are checked three times daily at feed times, and appropriate rug changes are made. Horses are feed three times a day with feed provided by Spring Creek Park. Hard feeds are made up by Spring Creek Park and owner provided supplements are included. Any combination of the above is included in the full board agistment price. Additional supplements or specialised feed can also be given but it is to be provided at the owners cost. Agistment prices include tack room space at stables, float parking, hot water wash bays, cold water wash bay for hosing down feet and basic rug changes. Full board in stable areas includes stabling every night, all feed and hay requirements, stable cleaning, all rug changes. 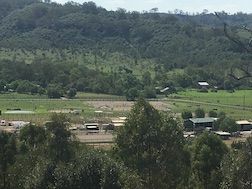 Private paddock Spelling- Spelling rates includes all the same care as a private paddock, but use of the facilities is not included in the price. Spelling race horses are fed a higher protein pellet and lucerne hay where required. Worming $35 each horse every 8-14weeks includes Wormer–worm counts sent to vet twice yearly for analysis. Farrier – organised and horses can be brought in even if you can’t make it here. ​Agisters may ride in the arena any time other than this. If you would like to book the arena exclusively for lessons or riding, it will be at a discounted rate of $10 per horse per hour. Please be aware that some bookings due to poor weather are made on the day and last minute. Please book with Sandra or Lisa directly to avoid disappointment. Group/Clinic bookings however will have priority/precedence over individual bookings. Group Horsemanship lessons are held every Sunday for beginners at 9 am to 11 am and Advanced From 11.30 am to 2.30pm. Agisters cost $60 per session, non Agisters $85 per session. Below we have a price list outlining the prices for various agistment options. 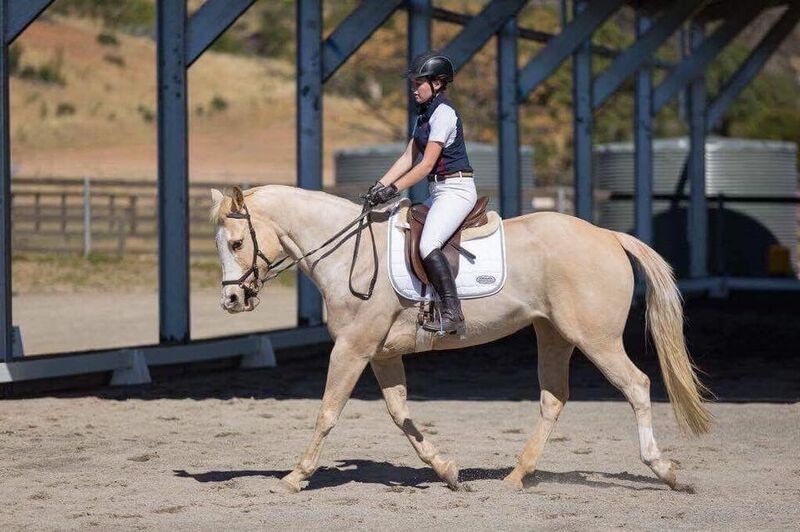 As not all horses are the same and some need individual diets SCP prefer to vary these according to the needs of the client and the horse, and can be adjusted to suit. Shared paddock agistment at the back of the property starts at $55 per week to $110 per week. Shared paddocks closer to facilities without separating to feed starts at $85. This includes 1 biscuit of hay per day and restricted use of certain facilities. Full board in shared paddocks in small herd with separation for feeding starts at $165 pw. Prices depend on facility use and feeding requirements. 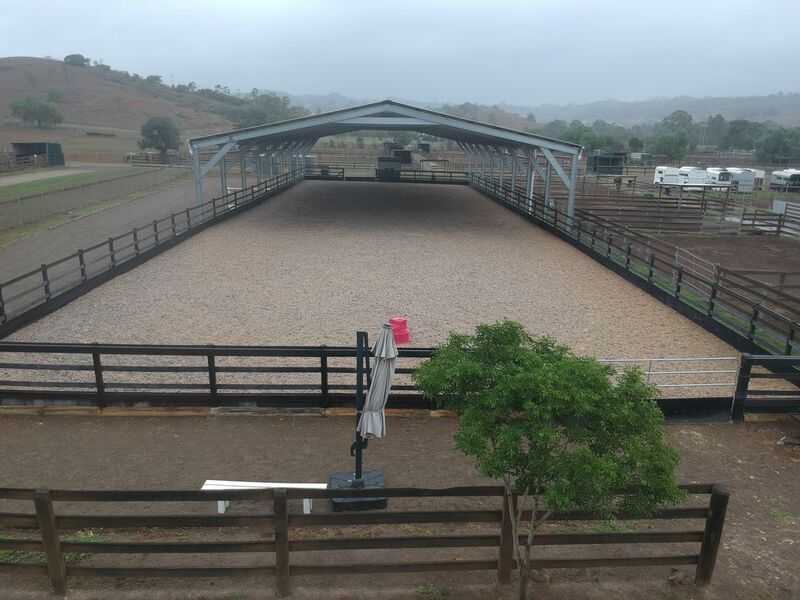 Eg: From $35 pw is for paddock only, no use of facilities other than cold water wash bays. Full board includes the use of all facilities including covered arena when available. SCP uses only the best quality feeds that come from the Centre West and Victoria. We use triple sieved chaff in plastic bags to avoid dust and wet down all feeds. Those horses in private paddocks and small shared paddock are fed 3 times a day. This prevents over filling their stomachs when fed twice daily and a long break between feeds. SCP put the horses health first and foremost, we do everything possible to maintain their eating patterns and habits are consistent and well maintained. We pay extra attention to their weight and ensure that they have the right amount of feed all year round, adjusting it when necessary to maintain a healthy and desirable weight level. We also put round bales in all paddocks at times when the weather does not accommodate their needs. This may increase the cost depending on what level of agistment your horse is on. Eg: If your horse is I a shared paddock at a lower price then the cost of the round bale will be divided by each owner in the paddock. Our full board feed includes 2 Buckets and 2 biscuits of hay per day, fed over 3 feeds. Stabled horses get 2 buckets and 4 biscuits of hay per day. For any further information or concerns, please don’t hesitate to contact Sandra, Lisa or Daniel at Spring Creek Park known as SCP, we would be more than happy to discuss our options. or go to our contact page and send an email from there.